We have two, three, and four bedroom cabins each with a kitchen, bathroom, BBQ with propane included, deck, and fire pit. 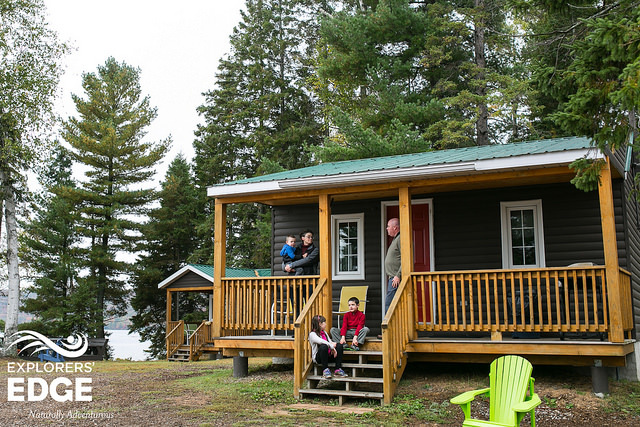 The cabins have a woodsy feel and are clean and tidy with modern conveniences. Our Motel has a wrap around deck with lounge chairs making it an ideal place to relax and take in the beauty of the surroundings. The motel features a recreation room for those rainy days or evenings available to all our guests. Our campsites are nestled in amongst the trees on Sand Lake. Relax at your site or enjoy all of the amenities at Edgewater Park Lodge. Our Campsites are open from May to October. Put your feet up, relax and let us take care of the cooking for you. We offer two types of Meal plans that can be purchased in addition to your accommodation.